Blurb: A psychological thriller for fans of Belinda Bauer, Mark Edwards, Clare Mackintosh – a dark and brooding tale about the horrors that can lurk within a family. Ex-DI Rachel’s small son is missing. Then his body is discovered. Her cousin Michael is found guilty of his murder and incarcerated in a secure psychiatric unit. Review: There are some psychological thrillers that make you think and keep you gripped the whole time wanting to know what happens, while this is one of those it is also more. As it says in the blurb it is dark and brooding and goes places a lot of other books don’t and for that you need a strong stomach, while this book is really good I feel many people will not agree or will be put off because of the dark areas it explores. 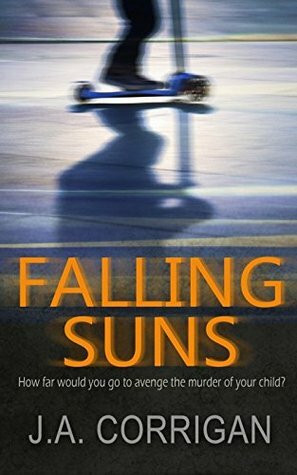 The book starts off with Rachel’s son Joe having been missing for a few days, the sense of helplessness and exhaustion are clear, the emotions raw and easy to see, and it’s obvious that some people are trying to be positive while others are not. The trial follows the discovery of Joe’s body and again the emotions are out there for the reader to see and feel. While the main character has a child and all the associated feelings and responsibilities that come with that, this book has been written in such a way that the emotions of Rachel during the time her son is missing and then through his trial, are able to be understood by anyone whether they have children or not. Some time after the trial Rachel decides to return to work and so the book skips forward a few years to find her life changed quite dramatically but her career going well until the news about Joe’s killer reaches her. This news changes her both physically and mentally as she prepares to kill a killer. However, as with life, nothing is straight forward and she begins to wonder and remember events from her childhood that cause confusion and doubts in her plan. At the same time, concerned about his friend, Jonathan is also looking into Rachel’s family and drawing his own conclusions that suggest that perhaps the person convicted of Joe’s murder was actually innocent. Through telling this story the author delves into the inner workings of the psychiatric system as well as giving some insights into trials, fake ID’s and a host of other things but at the end of the day this story is still that of a mother whose son was taken from her and the lengths she goes to in her plan to make his killer pay. While the story focuses on Rachel it also shows the impact that other people have or have had on her life. It is quite clear from this that what people do, even people we barely know, can impact on us quite dramatically and it’s refreshing to see that impact shown here. We do not exist alone, whether we want to or not, and while most books do show the impact of other characters there are few that I have read that also show the impact of someone’s childhood on their adult life and that’s what makes this book stand out for me from many others I have read. As a debut novel this is well-researched and incredibly well-written and I would definitely mark this author down as one to watch. Falling Suns is released on 14th July and is available to pre-order here. Many thanks to J.A. Corrigan for providing me with a copy of this book in exchange for an honest review.